Pay for one, enjoy many! Bottomless mimosas every day from 8-10:30am and on Saturdays from 8am-2:30pm. 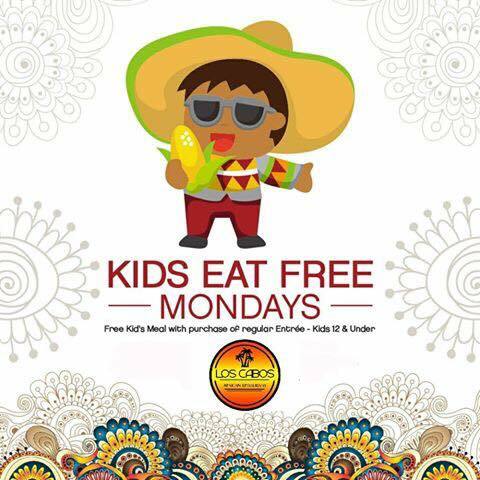 Kids eat Free on Mondays at Los Cabos Mexican Restaurant! Each coupon good for 35 balls. Does not expire from time of purchase. Receive 15% OFF with this offer. Must present at time of service to redeem offer. Discounts + Incentives for your new vehicle.